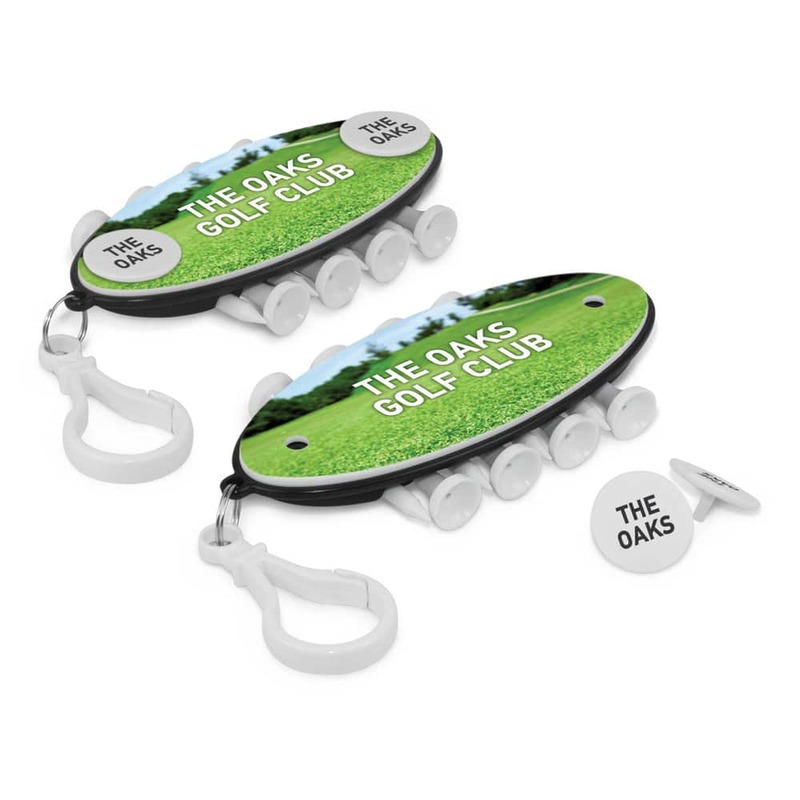 Golf tee and marker holder with a bag clip which contains eight 53mm tees and two markers. L 104mm x W 53mm. 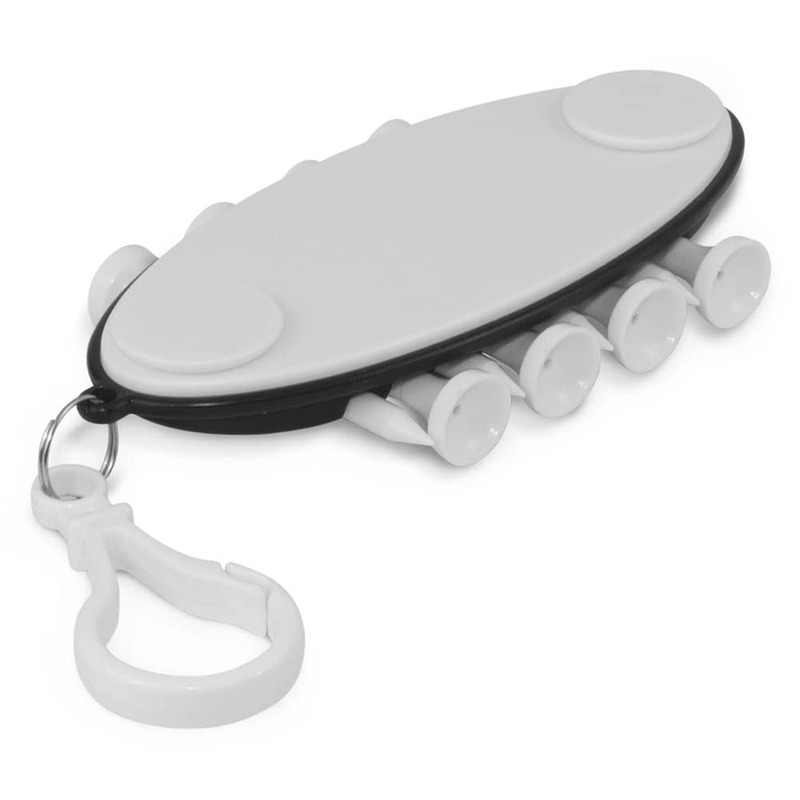 Pad Print Holder – 45mm x 25mm. Pad Print Marker – 16mm circle. Direct Digital Holder – Please refer to template. Direct Digital Marker – 16mm circle.